You have found the Professional Certified Simcoe County Home Inspector you need to inspect your home. I promise I will give you the best Simcoe County Home Inspection and report needed for you to make your best investment worry free! I am A Professional Certified Simcoe County Home Inspector who is trained to perform a visual, unbiased Home Inspection. I the Simcoe County Home Inspector will assess the home from roof to foundation to identify safety issues and describe the current conditions of the home at the time of the Home Inspection. I the Simcoe County Home Inspector will walk you step-by-step through significant findings. When I the Simcoe County Home Inspector have completed the Home Inspection I will give you a full report of the Home Inspection. The best way to protect yourself is to know and understand the condition of the home you are buying. I The Simcoe County Home Inspector will evaluate and provide you with a report on the exterior and interior components of the home. 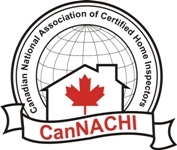 It also lists the CaNachi standards of practice that a Simcoe County Home Inspector must adhere to and what you should expect from a Home Inspection. Simcoe County Home inspectors are actually required to use only a few types of equipment. In theory, an Simcoe County Home Inspector could perform a Home Inspection that complies with the CaNACHIStandards of Practice using only two pieces of equipment: a ladder and an electrical tester capable of testing ground-fault circuit interrupter (GFCI) devices. 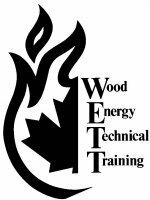 However, there is equipment I as A Professional Certified Simcoe County Home Inspector need in order to perform a Complete Home Inspection. Here are some types of Home Inspection Tools I use because they make my Home Inspection process easier and faster for me the Simcoe County Home Inspector. A flash light is one of the most needed Simcoe County Home Inspector tools needed to complete a Professional Certified Simcoe County Home Inspection. I as A Simcoe County Home Inspector use a variety of electrical testers. I as A Simcoe County Home Inspector wear a respirator when I enter areas such as the attic space or crawl space. I as A Simcoe County Home Inspector wear safety glasses when working around exposed electrical components are other common safety items. I as A Simcoe County Home Inspector use a moisture meter where I feel a need to check the moisture levels or suspicious stains. There are many Home Inspector tools that can make or break a Home Inspection and I have all the Home Inspection tools to do a Complete Professional Certified Simcoe County Home Inspection.